Japanese production company Kadokawa began streaming a 118-second teaser trailer for the Steins;Gate Fuka Ryōiki no Déjà vu film on Saturday. The sequel to the 2011 Steins;Gate television anime series will open next spring in at least 30 theaters across Japan. Dog Days manga artist Takuya Fujima reported from the "Special Promotion -Flonya Festival 2012-" event on Sunday that production on a third season of theDog Days anime has been green-lit. 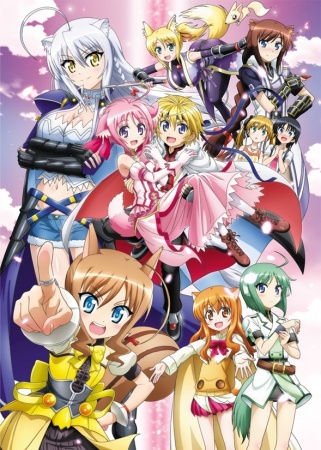 The studio Seven Arcs (Asura Cryin', Sekirei, Magical Girl Lyrical Nanoha) animated the first two seasons that premiered in 2011 and 2012. In the story by Masaki Tsuzuki, Princess Millhiore (Yui Horie) of the Biscotti Republic decides to summon a brave warrior from an alternate world to defend her country from the neighboring fiefdom of Galette. The "brave warrior" turns out to be a boy named Shinku (Mamoru Miyano) from modern-day Japan.